Cold-blooded are the animals which cannot regulate their internal body temperature according to the required level and they keep on changing their temperature along with the changes in external environment temperature. Although Warm-blooded animals attempt to keep their internal body temperature maintained and does not change the same along with changes in external environment. For example, if it is colder outside, the body of Warm-blooded animals try to adapt according to the situation and create internal heat which provides warmth to the body and vice-versa. On the other hand, Cold-blooded animals are unable to maintain this, and their body’s temperature changes with that of change in temperature of the external environment. On the basis of regulating one’s internal body temperature, animals are been grouped into these two categories – Cold-blooded and Warm-blooded. The phenomenon of maintaining this temperature is called thermal homeostasis. Hereby we will discuss the difference between these two categories along with a brief summary on them. irrespective of the external temperature. Examples Fish, reptiles, amphibians, invertebrates. Mammals and fish. Use of energy They require less energy to maintain their body temperature, hence they need less amount of food. They require more amount of energy to regulate their body temperature and so their need of food is higher. Additional feature They grow resistivity against any microorganisms invading their body to cause disease, and if happens,they lower the effect of infection by declining the body's temperature. They have strong immune system. Phase Hibernation- Resting stage at the time of winters which may be for weeks or months. Aestivation- Resting stage at the time of summer. No such phase. Temperature dependency The temperature of a body depends on the temperature of the outer environment. The temperature of the body is independent of the outer environment. Survival They cannot survive in any of the extreme temperature, especially cold. They are easily adaptable to any environment and temperatures. Metabolic rates changes with the change in environmental temperature. Environmental changes have no effect on metabolic rate. Body temperature Body temperature changes with the change in environmental temperature. Usually,temperature ranges from 35-40 degree Celsius. Cold blooded animals are those who are not able to regulate internal body temperature; rather they depend on sunlight to get themselves warm. When outside environment is colder their body tends to be cold, rather providing warmth and vice versa, but to survive at night especially in colder regions, they need sunlight to gain radiation. It is also seen that these animals remain inactive in cold or winter season. For examples, fishes move to the deeper part of the water, where the temperature of the water is warmer compared to the part where they were living, some species may die in winter season while bees produce heat with the help of movements of wings. Cold blooded animals need less amount of food as their requirement of energy is less for the survival. They are more resistant to disease as they do not allow parasites and other harmful microorganisms to grow and if they catch any disease, they lower their body temperature to get rid of that disease. These kind of animals are not active in the cold, in spite they wait for the suitable temperature to get themselves warm. Examples include fish, reptiles, amphibians, spiders, frogs, crocodiles, bees, moths and termites. There are two terms used which are Hibernation and Aestivation, the earlier one is the winter resting period in warm places which may last for weeks or months, and the latter is resting condition at summer time in shady or cool places, though it is not clear that Aestivation is the process of cold-blooded or warm-blooded animals. They only mate and reproduce at the time warmth. Ectothermy: Body temperature is maintained according to the temperature of the external environment, which means if there is sunlight, they will maintain their temperature accordingly and at night that is at the time of moonlight, their body will tend to change their internal temperature again and becomes cool. Examples-reptiles. Poikilothermy: The temperature of which fluctuate with the variation in temperature of the surrounding medium. Examples are frogs, turtles. Bradymetabolism: This type depends on the rate of metabolism, one’s body perform. An example is insects. Mitochondria, which is called ‘powerhouse of the cell‘ produces energy which is utilized by the body to maintain its temperature. All the lifetime, consistent energy is produced to maintain the body temperature which lies between 35-40°C. Although it is said that if the temperature of the outside environment is extreme, the body may change a little bit to maintain it or they release excessive heat by sweating or panting. Whale does not need sweat glands as it lives in water, While Elephant sweat through ears. 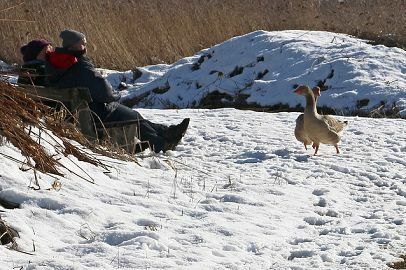 At the time of extreme cold situations fur, shivering and sometimes birds migrate to the warmer region is the scope to maintain the temperature. There is a lot of stamina present in warm-blooded animals as energy produced by them is due to high metabolism rate., Warm-blooded are active in the cold environment also. The immune system is also strong of this kind of animals. As Warm-blooded are active in both the environments, so can easily cope up anywhere. Endothermy: Body maintains its temperature by an internal means like sweating, shivering, etc. An example is a dog. Homeothermy: Body regulates its required internal temperature irrespective of the external temperature, rather body tends to maintain the higher temperature than surrounding. An example is humans. Tachymetabolism: High metabolism rate is a result of body temperature. An example is birds. Animals like fish, invertebrates, amphibians, and reptiles come under Cold-blooded animals whose body’s temperature fluctuates according to the changes in temperature of an external environment. Cold-blooded animals require less amount of energy as compare to Warm-blooded animals, as Warm-blooded produces heat by their own and regulate their consistent body temperature in any environment, whereas Cold-blooded animals maintain their body temperature according to changes in an environment. In Cold-Blooded animals rate of metabolism and temperature changes with a change in the environment, but in Warm-Blooded these factors are independent of environmental changes, rather temperature is maintained between 35-40°C. Cold-Blooded animals undergo two kinds of phases which are Hibernation and Aestivation, Hibernation is termed for a sleeping period in winter and Aestivation is sleeping person in summer, though there is no such phase in Warm-Blooded. Cold-Blooded animals defend themselves from an attack of any parasites, microorganisms and other infection by lowering their body temperature at that particular time, Warm-blooded have the stronger immune system. So we can say that cold blooded animals, depends on the external temperature to regulate their internal body temperature, and so these are unable to survive in any kind of extreme temperature whether it is too hot or too cold. Warm-blooded are independent of these factors. 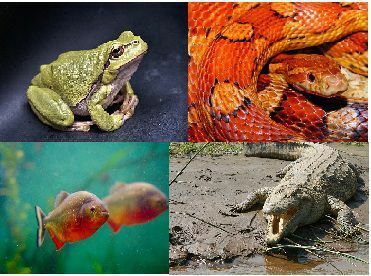 Animals like fish, birds, amphibians, reptiles, mammals are categorized by thermal homeostasis, which means maintenance of body’s internal temperature in two ways, by this they are categorized as Cold-blooded or Warm- blooded animals. Above we discuss the important features and difference between their way of living and adaptation to changes in environment and temperature. Though both are the adaptation of the environment as ultimately its a matter of survival.